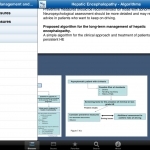 iLiver is a useful, well designed free app for those who are interested in liver disease. Its pure focus on this can be a drawback and there are certainly one or two areas of improvement. Despite this, it is still a first-rate app and worth downloading.